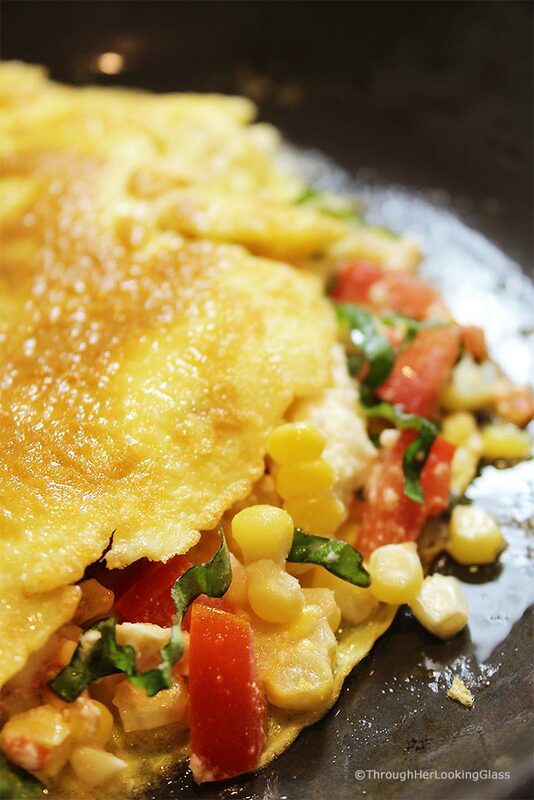 This Summer Corn Basil Tomato & Feta Easy Omelette Recipe is sure to please your friends and family for breakfast, lunch or dinner. 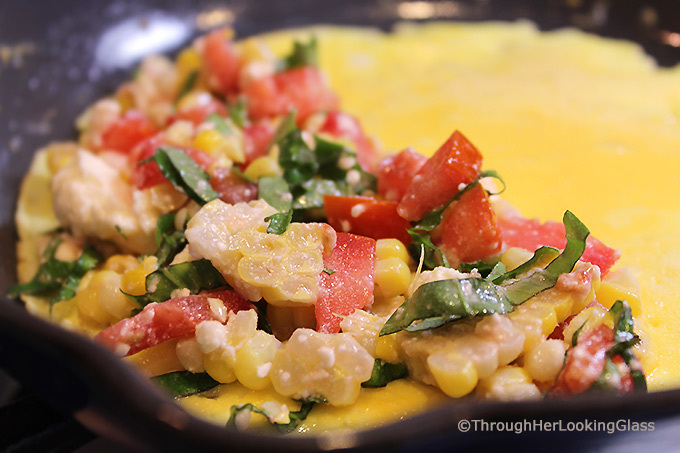 Summer corn and ripe garden tomatoes combine with fresh basil and salty feta for a flavor-full omelette. Serve hot alongside fresh fruit and bacon for a light and scrumptious summer meal. So we just got fresh local corn at the farm stand for the first time this season. WAAAAA!!! You know what I mean by fresh corn, right? I mean fresh. As in fresh picked that day. THAT kind of fresh corn. Yep. It’s absolutely amazing, crunchy and sweet. Not a starchy kernel in the lot. And so now is the time to make all the recipes using fresh corn. I made our favorite Corn Basil Tomato & Feta Salad that we love so much. 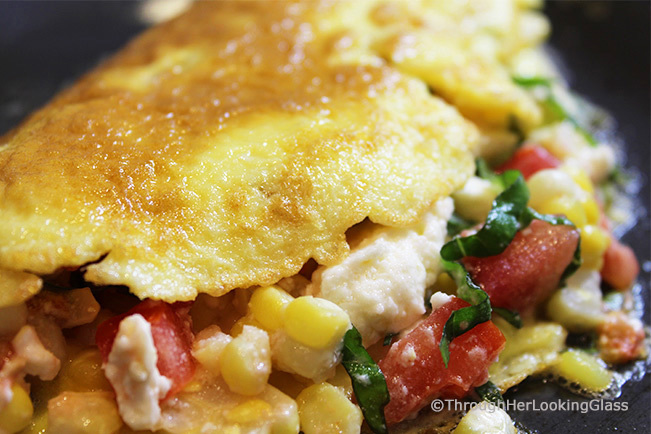 And then this Summer Corn Basil Tomato & Feta Easy Omelette Recipe happened the next morning. I love it when things come together by “accident”. For instance, the humble waffle cone. 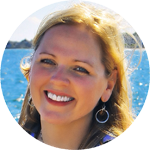 (Yep, it’s summer and I’ve got waffle cones on the brain.) Do you know how the waffle ice cream cone was invented? By accident. The story goes that at the 1904 World’s Fair in St. Louis, an ice cream vendor ran out of bowls. As fate would have it, the ice cream stand was located next to a pastry stand that produced zalabis, a waffle like square of pastry. So when the zalabis pastry gal heard all the commotion next door re: no ice cream bowls, she rolled one of her hot waffles into a cone shape and handed it across the fence to the ice cream scooper. Genius. The waffle pastry cone cooled quickly, then the ice cream guy filled it with two scoops. And there you go. I scream you scream we all scream for ice cream. History in the making. (Serendipity?) And we’ve all been happily licking ice cream cones for over a century now, our jeans a tad snugger. LOL. I tell you about the serendipitous waffle cone invention, because this Summer Corn Basil Tomato & Feta Easy Omelette Recipe has a similar story. Not as grandiose, because it didn’t exactly happen at the World’s Fair, just in my little kitchen. So I’ve been making lots of omelettes for my family this summer. I have a friend from church who kindly shares fresh eggs with me when she can spare some. So I was whipping up an omelette for Jon one morning before he left, and realized there were zero veggies in the crisper. I like making veggie omelettes with cheese for him when I can. 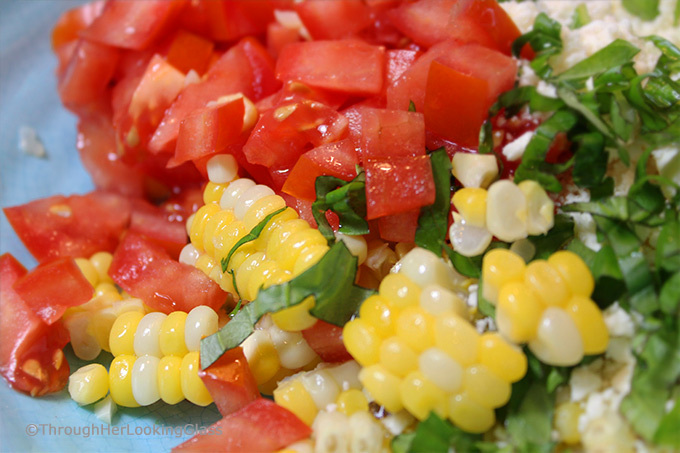 Anyway, the crisper was bare, but I spied a little tupperware of Corn, Basil & Tomato Salad. This is one of our favorite sides to have with grilled chicken or burgers and was leftover from dinner the previous night. I whipped up a quick omelette, then added a few spoonfuls of this corn salad on one side before I folded the omelette in half. This omelette was SO good. 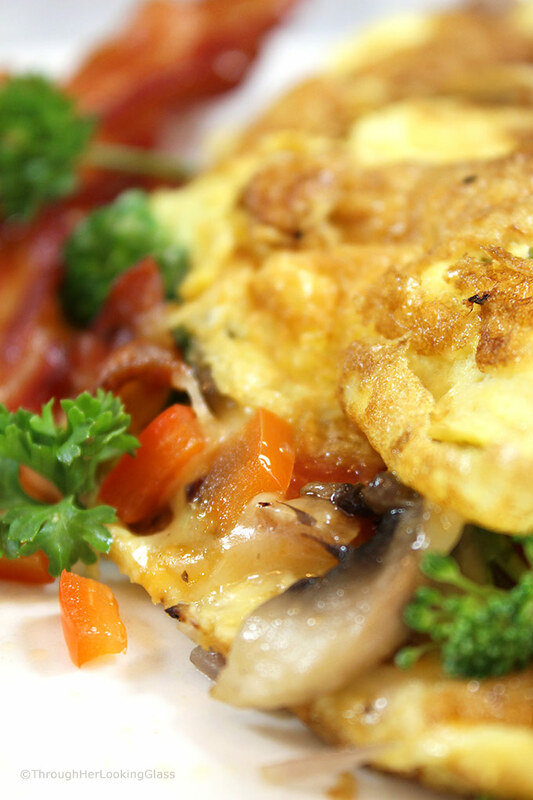 Seriously, one of the best omelettes we’ve had. 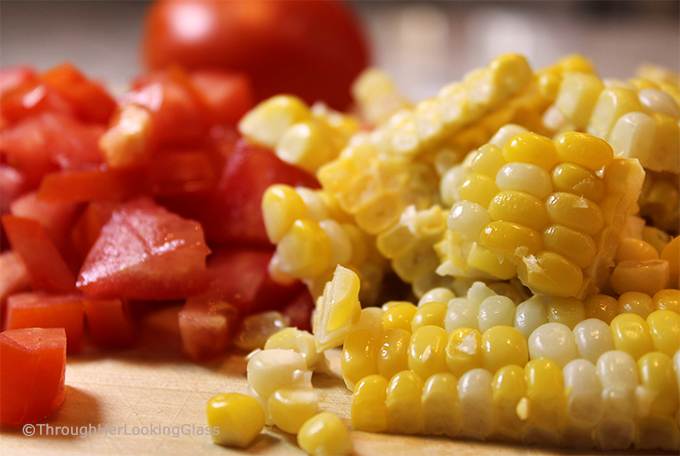 There’s something about the fresh corn, garden ripe tomatoes and snipped basil. So much flavor, and a great use of delicious left overs. This omelette may not be the waffle cone, but it’s serendipitous just the same. 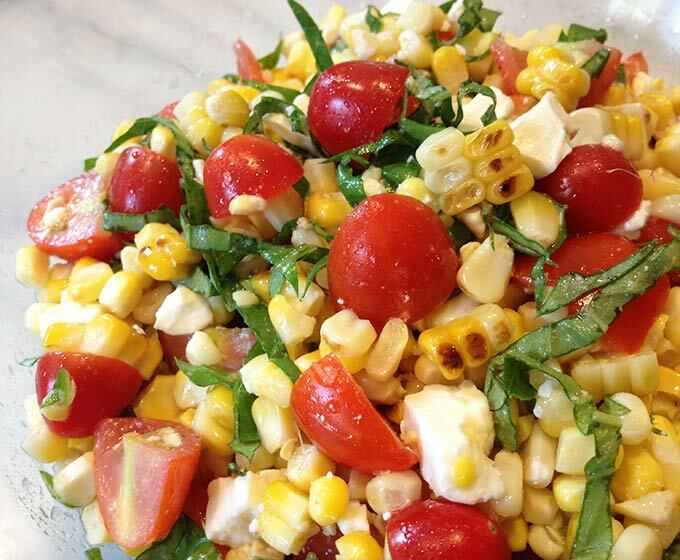 Save out a few spoonfuls of Corn Basil Tomato Salad from dinner the night before to cut down on prep time. Use a heavy duty, non-stick or seasoned cast iron skillet, 9″ (the base diameter of mine is 7″, and the top opening is 9″ across). Use 2-3 eggs for a nice sized omelette. I suggest organic, non-caged eggs if you can find and afford them. They taste better, have more nutrients and a deeper hue. Use plenty of olive oil or butter for a good pan release, and make sure it’s sizzling hot (but not smoking!) before you add your beaten eggs. Add an extra sprinkle of your favorite cheese. Garnish with a fresh basil sprig. Steam fresh corn for several minutes. Cool corn, cut from cobs. Whisk 1/8 cup olive oil and 1 1/2 teaspoons red wine vinegar in a medium bowl to blend. Stir in corn, chopped tomatoes, feta and chopped basil. Toss to coat and set aside. Whisk up 2-3 eggs in a small mixing bowl until thoroughly blended. Heat a heavy 9" non-stick or cast-iron skillet over medium heat. And butter to the skillet. Pour eggs into the skillet. With a flexible spatula, begin loosening the edges of the omelette, all the way around the pan. Pull the edges away from the pan and tilt the skillet. Rotate the pan so the uncooked eggs in the middle slide underneath the omelette where the edges are pulled away. Keep pulling the edges back and tilting the uncooked eggs until the top is shiny and the eggs are cooked around the edges. Sprinkle one side with several generous spoonfuls of Corn Basil Tomato Feta filling. 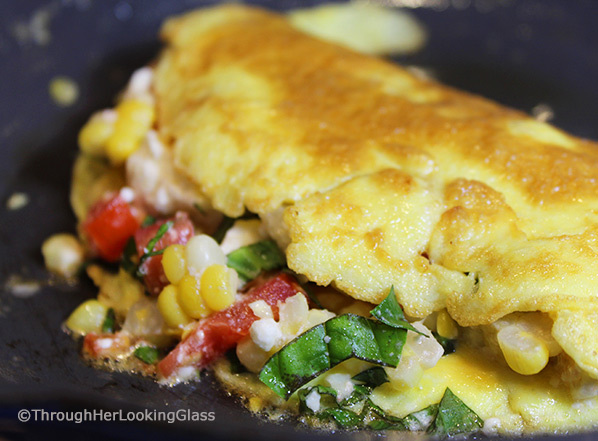 With a thin spatula, gently loosen the edges of the omelet and underneath. If the bottom of the omelet isn't yet turning golden brown, allow it to cook for another minute or two over the heat. Then fold omelette over, in half, and let sit for another minute or so over the heat. Optional: garnish with fresh basil leaves. Oh, this looks wonderful, it would be perfect for breakfast today. It is great when you can use leftovers to make other delicious yet totally different dishes. This sounds delicious! 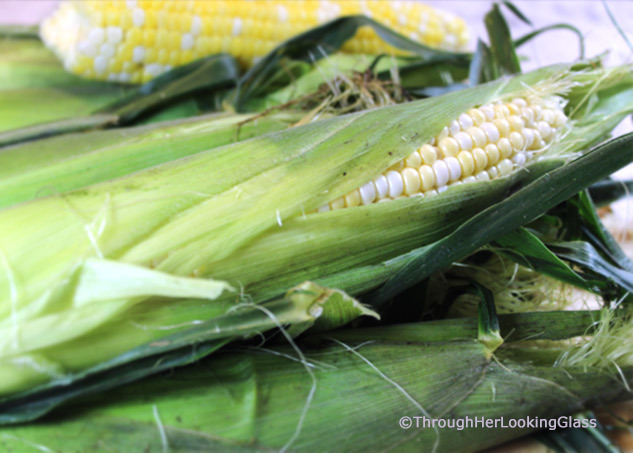 You had me at “Fresh corn ...amazing sweet and crunchy.” Add basil tomatoes and feta and it would taste like it was meant to be! YUM! Gotta try this before the summer corn is gone!